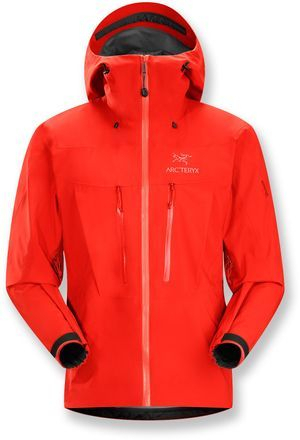 Rain Gear-my choice, Arc'Teryx alpha sv rain jacket and outdoor research foray rain pants. material of choice, gore-tex and 3 Layer gore-tex pro. First things first. You should ALWAYS at a bare minimum pack a rain jacket for every single trip, no exceptions. You may choose to leave rain pants at home in warmer conditions, but should always pack those when temperatures drop below 70 degrees. Cases of hypothermia are most common in the summer, spring, and fall, NOT WINTER. Why? When it's already cold outside people tend to dress accordingly. Cases of hypothermia present themselves when a person is caught off guard and unprepared. On an 80 degree day you can get caught in a rain storm leaving you soaking wet. Now the wind starts picking up and before you know it, you're in big trouble if you cannot get dry. As the temperatures get cooler, your chances of getting in trouble increase dramatically. If you find yourself in this situation, your best defense is to KEEP MOVING! Do not stop, the continued movement will generate body heat. Better yet, pack a rain jacket every time and you'll have a line of defense. Choosing proper rain gear can be a daunting challenge. There are so many choices and the price point spread is $50-$750 for a rain jacket alone. Why such a huge price difference? It all comes down to the materials used for the rain jacket. The second side of the coin is the activity level in which you intend to use the rain gear for. The first question you should ask yourself is are you a fair weather hiker or a take what mother nature throws your way kind of hiker? If you avoid rainy days and only use rain gear when you are caught off guard, then you can get away with less expensive rain gear but at a cost of breathability and functionality. On the other hand, if you hike in the rain, snow, and wind year around you should consider investing in a higher end rain jacket to suit those conditions. I chose my jacket specifically for the purpose of mountaineering and it's my armor for conditions unfit for human existence! For hiking alone it's overkill but fortunately for me, this jacket covers all my activities. Once again, REI has put together a very comprehensive description of the different types of rain gear and their uses. Spend five minutes here and you'll be very educated in the subject. I'm not going to spend the time rewriting something that has already been done so well. Rain Pants fall under the exact same conditions for materials as rain jackets. 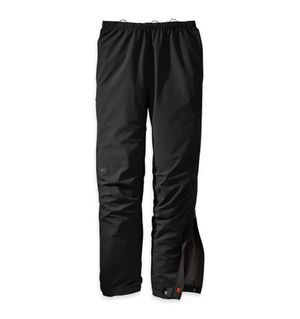 I have a preference for rain pants that have zippers running the full length of the legs. This allows me to take them on and off without removing my boots as well as a venting option. I also prefer rain jackets that have pit zips for the same purpose of venting.